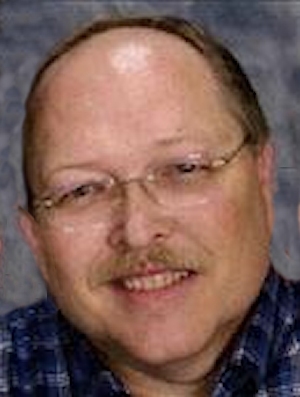 Obituary – Lewis, James Allan “Jay” « Perry High School Alumni Association, Inc.
﻿Band 9,10,11,12, Stage Band 11,12, Solos and Ensembles at Band Contests 9,10,11,12. ﻿Jay Lewis, 61, of Aurora, CO, died on Thursday, October 10, 2013 after being hospitalized for several months for congestive heart failure. He was born May 29, 1952, in Stillwater, Okla., to Jim and Lois Lewis, who predeceased him. 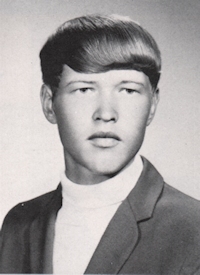 He grew up in Perry, Oklahoma graduating from Perry High School in 1970. In 1972, he married his first wife, Kendra; the marriage ended in divorce. He married his second wife, Christiane, in 1985, which also ended in divorce; they had one daughter, Eirin. He is survived by his third wife, Vera, whom he married in 1994. Jay had a wide variety of jobs: mechanical illustrator, designer, and engineer; project, program, and quality assurance manager; and process assessor. He was also an author; artist; and jewelry designer. His interests encompassed all things mechanical including watches, automobiles, watercraft, aircraft, and firearms. Jay played trumpet in high school, which led him to appreciate music of all kinds, and an enjoyment of attending live music venues with friends. He also had a great sense of humor, even if few people understood it. For two decades Jay swore he would never return to college; however, at the time he became ill, he had completed all courses for a doctorate in Management. His plan after completing his degree was to become an online instructor. He loved the thought of spreading his extensive knowledge to anyone desiring to learn. Jay was born with a rare heart defect that was determined to be too dangerous to be surgically corrected. Therefore, he decided to donate his body to the University of Colorado Hospital so that his condition could be studied. There will be no memorial service. Memorial donations may be made in Jay’s name to the American Heart Association. In addition to his wife Vera, Jay is survived by his daughter Eirin (Lucas), stepson Troy, stepdaughter Bridget (Sean), four grandchildren (Zachary, Jordyn, Tiffany, and Carter), all of Colorado, and his sister Jan of Tulsa. While Jay will be sadly missed by family and friends, he will be happily remembered.